We’re very pleased with our current crop of policies – and we hope you are too! – but there are still many subjects that our Parliament has voted on that haven’t yet to make it onto our site. And we’d like to do something about that before our newly (re-)elected MPs and Senators fly into Canberra for their first sitting day. If any are missing, letting us know via email, Twitter or Facebook before our new Parliament’s first sitting day on Monday 22 August 2016. I’ll be online each Thursday and available to chat over Twitter and Facebook, so please feel free to join me then to discuss potential policy ideas. When did you say their first sitting day was? 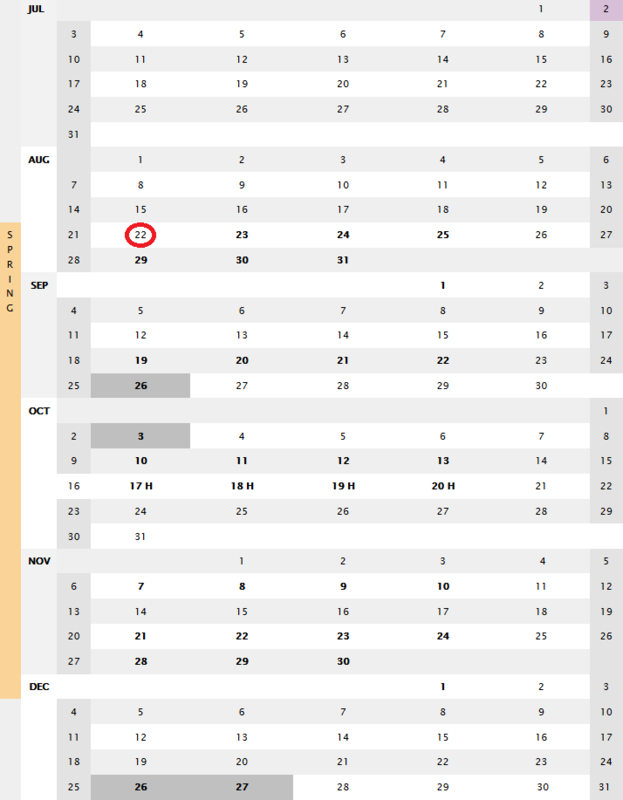 The parliamentary sitting calendar hasn’t been updated yet, so we don’t actually know when the first sitting day of our new Parliament will be. However, our guess is that it will be some time after the beginning of the Spring parliamentary season, which starts in late August. 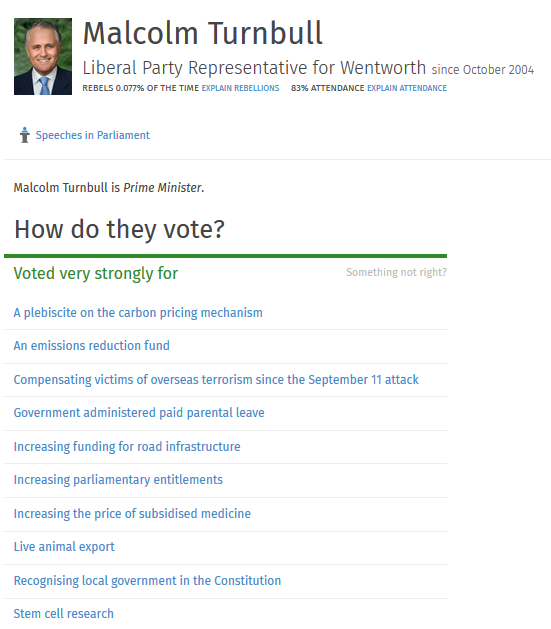 This entry was posted in OpenAustralia Foundation, They Vote For You and tagged Australia's Parliament, Australian Parliament, divisions, Parliament, policies, Policy, votes, Voting. Bookmark the permalink. Post a comment or leave a trackback: Trackback URL. I don’t think they have had a look at sea level rise around the Australian coast as the result of global warming. In SA I understand that the sea is rising 5 mm a year. Add on to that storms and king tides, the damage costs would be enormous. Perhaps an inquiry into sea level rise could help with the issues of fossil fuels and make the government realise they have to take unconventional gas seriously instead of pushing for it. Thanks for the suggestion! I’ve had a quick look at what divisions have taken place in Parliament that relate to sea level rise, and it looks like there may be enough to create a new policy on the subject. I’ll let you know if it works out. It is a no brainer when the Live Animal Export is continuing to deny australian’s extra employment in the meat export trade, Barnaby (Fudge) Joyce needs to get off his arse and re-introduce a Federal Non Union system of abbatiors so the meat is processed in a humane australian way. Sorry for the delay in responding to you and thank you for the suggestion! It would be great to have a policy on the mechanics of plebiscites on They Vote For You. Unfortunately, I can’t find any divisions (or formal votes) on this topic so cannot create this policy at this time. But I will keep this in mind as Parliament resumes, as it may come up then! Please keep in touch about any other policy suggestions you might have.